I then spent the rest of 2015 and the beginning of 2016 finishing the newest draft of this book, in time for editors at The New Press to decide what should happen next. My limited energy needed to be expended on those hundreds of pages — even as events in the Bergdahl case accelerated. The soldier himself was and is on desk duty at Fort Sam, as seen in the Army Times photo above. 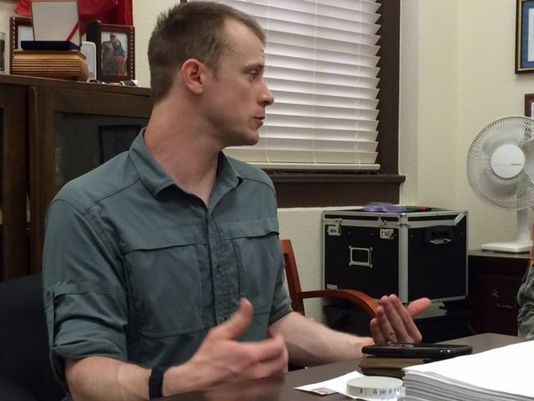 Since then, most Bergdahl news has constituted legal battles between the Army and Eugene Fidell, mostly over how much of the evidence in the case should be available to him and to the public. My email inboxes sag with Fidell’s motions to the Army Court of Federal Appeals, though he hasn’t always shared the court’s responses. No one reported that Fidell had finally, last week, won a minor victory when Col. Jeffrey Nance, appointed last month to oversee issues of classified data, ordered the prosecution to turn over every piece of evidence to the defense, now. The Army then turned to the Court, and that’s today’s news — that a writ has been granted freezing any such action, effectively delaying all proceedings for now. No wonder the court-martial itself was scheduled for August, giving time for such delays. Bergdahl’s case is thus, as I’ve long predicted, entering that no-man’s land of the national security state, and like Manning’s will only be partially visible to the rest of us. But the delay also gives us time to reflect on what we’ve learned so far, and whether Sarah Koenig’s mission is diverging even further from mine. The Army denies that the timing of the charges had anything to do with the episode of Serial that preceded them, DUSTWUN, but it can’t have thrilled prosecutors to hear Bergdahl’s voice that way, or to learn of the wealth of information to come from 35 hours of conversations between Bergdahl and filmmaker Mark Boal (known for working w/Kathryn Bigelow on ZERO DARK THIRTY). 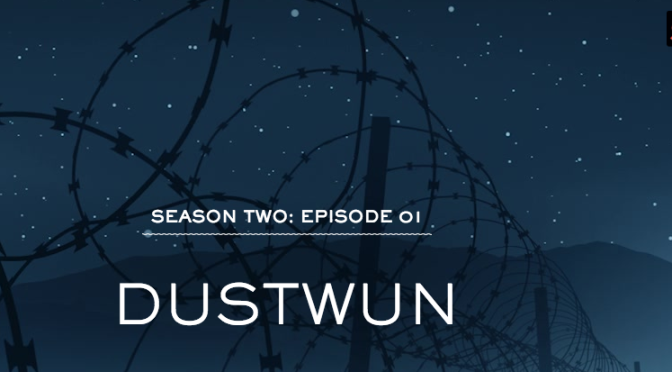 That first episode was named for the status assigned to any missing soldier, dustwun (short for “duty status-whereabouts unknown”), also shorthand for the kind of tumult that follows someone being declared so. He wanted to “cause a DUSTWUN,” Bergdahl told Boal, so that when he reappeared at a nearby FOB he’d be able to inform higher-ups of “serious issues” with his base’s command. He also told Boal that he was trying to be a hero, and saw himself as being someone “like Jason Bourne” of all those movies. I’m not the only person who was nonplused by Bergdahl’s declarations, which at least implied that what he had to say was worth the cost to his peers of throwing his base upside down. Or by how, when he got lost, his Bourne plans included getting Taliban intelliigence that still might prove him a hero. At least one journo colleague of mine soured on Bergdahl entirely, calling him a “douche” — an assessment that didn’t shift much when the show moved on to heart-rending accounts of his capture and torture. Koenig also interviewed many of his platoon-mates as well as people associated with the Taliban, who had their own version of how they captured Bergdahl and turned him over to the Haqqani network (kind of the Sopranos of the Taliban). And adding a lot of value has been accounts from military prisoner-recovery personnel, including some who got Bergdahl’s family involved in fighting to make Bergdahl a priority. The harder they all worked, the more of a mysterious child the soldier himself seems. The episode also included important discussion of COIN and of different kinds of command discipline, as a way of exploring the behavior that caused Bergdahl to believe that his brigade commander “didn’t have our interests at heart.” Important to try to understand the situation for these units in Afghanistan in 2009: but less and less of a story of dissent,less so even than if it had been a case of simple desertion. Though I do tend to think that 5 years being tortured by the Taliban is adequate punishment for what he did, I’m seeing Bergdahl as less a dissenter than an anomaly. I’ll still keep listening, and following the case; I’m grateful to Bergdahl’s counsel for keeping me abreast. It’s an interesting Rosetta Stone, anyway – as Veterans for Peace and others continue with their “Free Bowe Bergdahl” campaigns, just as the GOP presidential contenders compete in calling for his execution. .